Pininfarina styling, a 570 horsepower from a 4.5 liter V-8 powerplant and overall performance developed with the assistance of 7-time Formula 1 World Champion Michael Schumacher, the new for 2010 Ferrari 458 Italia supercar prowess has led to many auto enthusiasts to identify the car as a hot set of wheels. Unfortunately, the terminology ‘hot wheels’ is taking a much more literal meaning for the 458 Italia after 5 reports of the ultra-expensive Ferrari getting engulfed by flames from their rear-positioned engine compartments. Issuing a high-profile safety recall, Italy’s Ferrari has attributed the problem to an adhesive used for fastening an engine heat shield to the 458 Italia’s rear fender. When the adhesive has been subjected to high temperatures within the engine bay, the material is found to be melting and is prune to catch fire. Ferrari’s planned fix to 1,248 examples of 458 Italia includes replacing the heat shield with one using rivets. 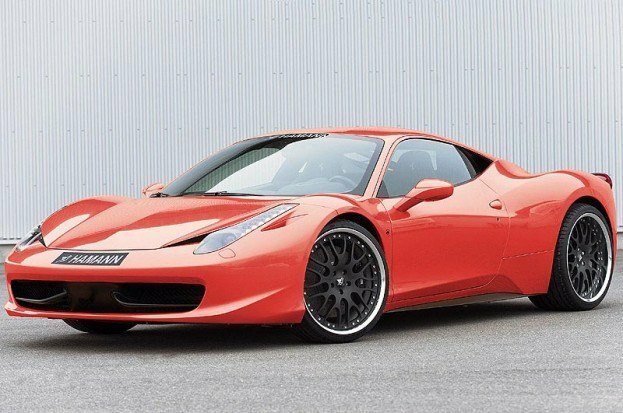 For American owners of the affected prancing horse, this means sending your Ferrari 458 Italia to 1 of 30 Ferrari authorized service centers for a half-day, no-change repair job. Along with recalling the Ferrari 458 Italias still on the streets, the Italian-based automakers is pledging also to provide new cars to the owners of the 5 cars which have perished due to fire. While the exact issue has now been confirmed, engine compartment fires occurring with the quarter-million dollar Ferrari were for months covered by Internet media. In fact, Automoblog.net provided coverage of a Ferrari 458 Italia fire in France with a July 20th post. With photos and information coming courtesy of Wreckedexotics.com, the 458 Italia ended up as a charred, melted pile of once exotic motoring. Other Ferrari 458 Italia’s to succumb to the adhesive-triggered fires were located in the California state, Switzerland, China and one more in a location which was not identified. We know that automotive recalls have been receiving considerable attention this year. However, while most safety recalls affected products from high-volume auto manufacturers, we were left to believe that ultra-luxury car makers like Ferrari were immune to such concerns. As Ferrari floods to remedy their 458 Italias, sometimes even the most detail-oriented machines can not buy quality. After spending a small fortune on their racing-bred supercar, owners will realize after this Ferrari recall some peace of mind proving that sometimes the best things in life are free. No Comments on "Supercar Recall: Ferrari 458 Italia Fire Fix"